Bear Spirit art by Stevyn Llewellyn. Framed prints for sale. Cosmic bear skull by artist Stevyn Llewellyn usig vector lines and watercolor, available here. Wishing woman by artist Stevyn Llewellyn. 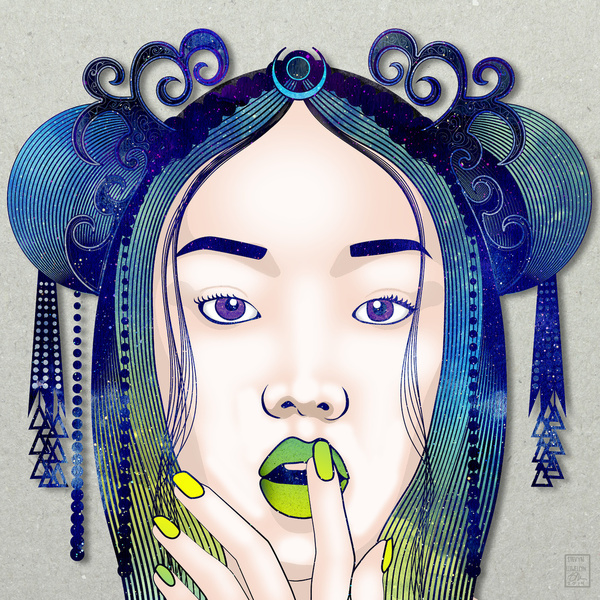 hand painted watercolor, collage, and vector lines available now here. 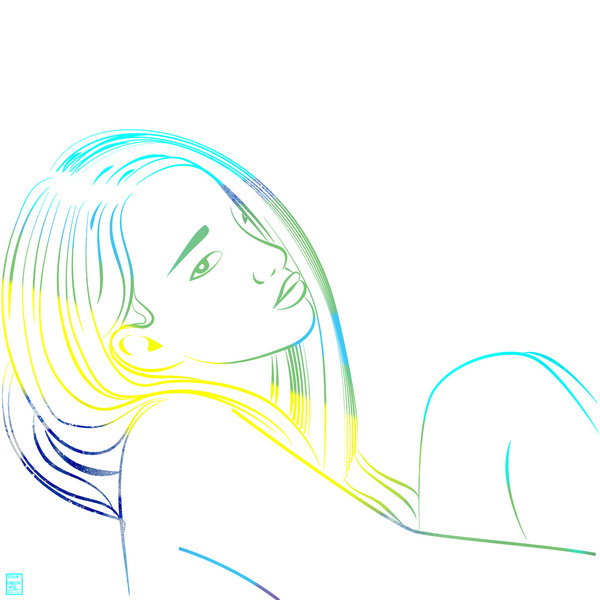 Simple and colorful reclining beauty rendered in clean vector lines by artist Stevyn Llewellyn. Moon Goddess by artist Stevyn Llewellyn available now here. Sprightly woman about to apply lipstick by artist Stevyn Llewellyn. This colorful and lively image is rendered in clean vector lines and embellished with hand painted watercolor and digital collage available here. Glossy Girl T-shirt collection available in multiple style and colors. Also, check out the collection of shirts, where the lips change color with the base color of the fabric, browse them here. 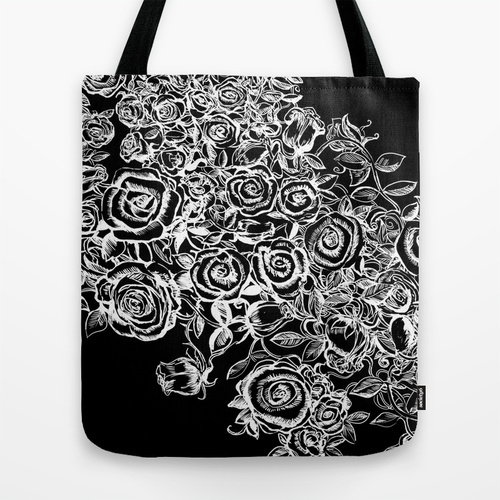 Quality crafted Tote Bags are hand sewn in America using durable, yet lightweight, poly poplin fabric. All seams and stress points are double stitched for durability. They are washable, feature original artwork on both sides and a sturdy 1″ wide cotton webbing strap for comfortably carrying over your shoulder. Original hand drawing and watercolor with collage by Artist Stevyn Llewellyn. Available as a gallery quality Giclée print on natural white, matte, ultra smooth, 100% cotton rag, acid and lignin free archival paper using Epson K3 archival inks. Custom trimmed with 1″ border for framing. Exclusively for sale now here. This is an older art piece which was rendered by hand, then the collage, floral paper was added to the garment. With simple pencil lines, and soft watercolor accents, it depicts a lovely woman writing in a book, reclining on the floor. Hand Drawn Mermaid and watercolor multimedia artwork by Artist Stevyn Llewellyn. Available exclusively at society 6 here. 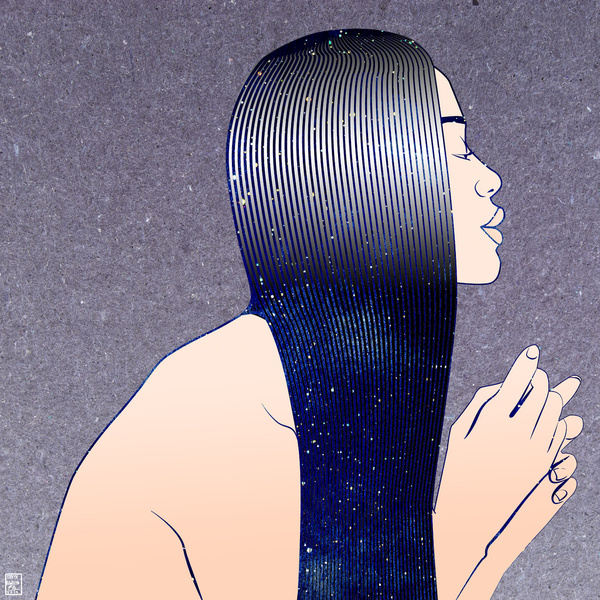 This mermaid was created by scanning a watercolor painting, then delicately drawn in photoshop, smoothed out in illustrator, then adjusted the colors to get the subtle fluctuations in tonality. Mythical sea creatures have been a constant source of inspiration for many artists throughout history, evoking a sense of fantastical escape, or the dangers of the deep. This reflective siren is a testament to myth and beauty and the mystery of the seas. 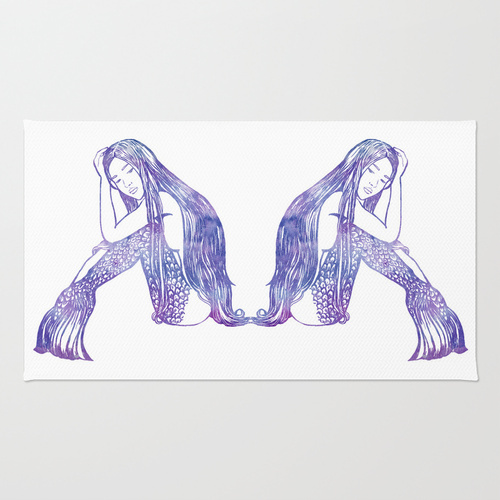 Mermaid Twins also available as cups and rugs for your home. A short time lapse video of the art making process, working on a figurative oil painting, as well as making cut paper art for the “Gold Honey” series.